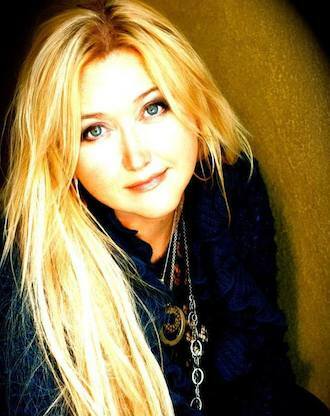 Christy Crowl is a Professional Musician and Musicpreneur, Member of AFM Local 47, SAG-AFTRA, NARAS, BMI, and Founder of ProMusicDB.org. A life-long music professional, Christy has toured the world and performed with such music legends and popular acts as Barbra Streisand, Julie Andrews, and Gnarls Barkley (Cee-lo), and is a member of the Grammy-winning band Mannheim Steamroller. She is also the first woman conductor of the hit Broadway musical Wicked, and has over thirty movie credits as a singer, pianist, and composer/arranger (titles that include Jurassic World, Planet of the Apes, Goosebumps, and Indiana Jones) . She founded ProMusicDB four years ago, after seeing the need in her community to be acknowledged in the digital world in movie and album credits. Since then, the project has taken on a whole new meaning – from making sure musicians get proper credit and acknowledgement to helping them correct the wrong metadata in the digital world that prevents them from being properly paid for their work. 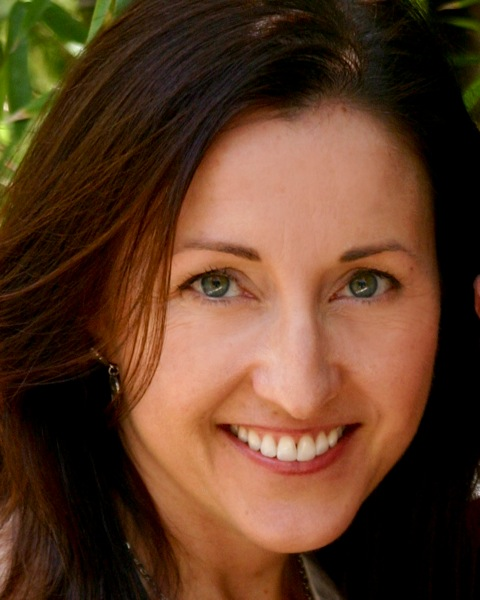 Cindy O’Connor is a composer, arranger, music director, and performer for film, TV, and theater. Her composing credits include the hit ABC series Once Upon a Time, the Starz series Crash, the Sundance favorite Forgiving the Franklins, and the silent movie-within-a-movie in Brian DePalma's The Black Dahlia. In the pop world, she spent four years touring as a keyboard player and singer with rock superstar Pat Benatar. Cindy sang and served as choir director with Petra Haden in London as part of David Byrne’s Meltdown Festival, and they led an a cappella master class together at the Southbank Centre. And in the theater world, her musical All That He Was won the Kennedy Center/ACTF Festival, is published by Samuel French, and has been performed throughout the US and internationally. She has scored two off-Broadway plays, in In The Air and La Llorona; and her musical 40 is the New 15 has been produced in Chicago and Los Angeles. 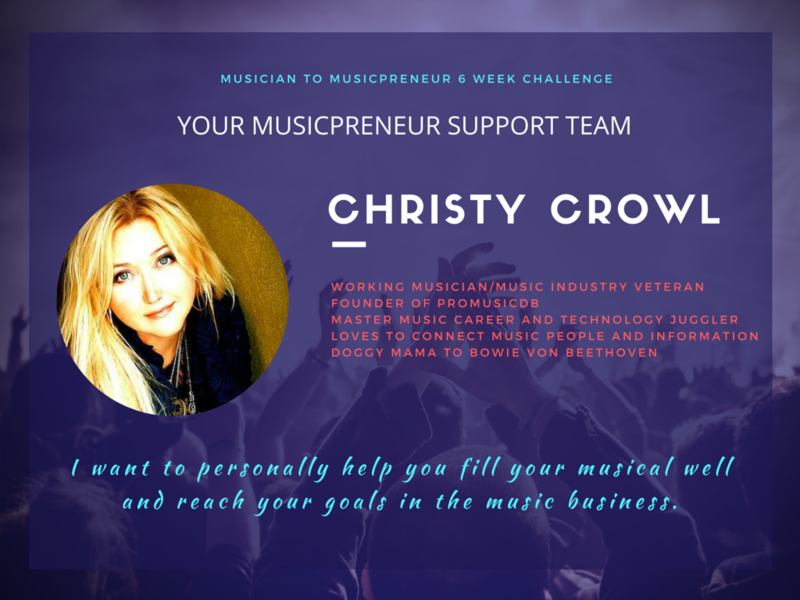 As a vehicle of professional career development for musicians in the digital world, Christy Crowl established the ProMusicDB Digital Musician Academy earlier in 2016, as a compliment to ProMusicDB: The Professional Music Credits Database. The DMA is focused on educating career musicians in how to navigate the disjointed digital landscape of today intelligently, while empowering musicians in creating new income streams for themselves in thriving areas such as e-learning and teaching music online. ProMusicDB.org is the only online platform created specifically to preserve the credits and legacy of musicians in the digital age. Without an agency, union, or authority taking on the task of creating this necessary educational resource, musicians’ presence in the digital world has continued to be less and less. Music credits have slowly vanished and digital streaming services have become less personal – leaving musical artists in the shadows of the success of digital platforms that use music like Spotify. 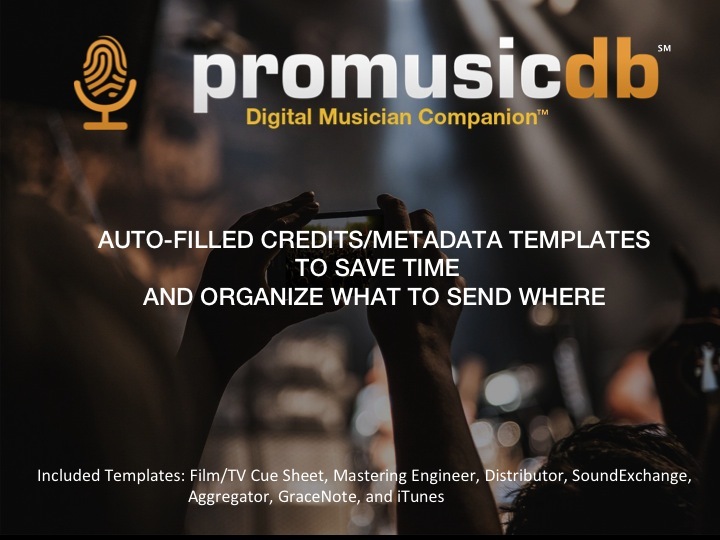 ProMusicDB has been created to not only engage artists and music professionals in the preservation of their history and legacy, but to assist music professionals in doing business as a musician in today’s digital world. In addition to being a user-friendly platform for listing credits, creating picture galleries of performances and personal archives, and providing accurate contact information, ProMusicDB has developed tools that are compliant with today’s digital commerce standards and can capture and archive the data necessary for a musician to do business intelligently. And, in working with the Music Library Association, ProMusicDB has established the structure for the educational reference resource on musicians the educational and library sector desperately needs. ProMusicDB is endorsed by AFM Local 47, SAG-AFTRA Singers, the Music Library Association (MLA), The Wrecking Crew, and the Entertainment Identifier Registry (EIDR). ProMusicDB is also a project of the Pasadena Arts Council’s EMERGE Program, and has recently become a partner of the MetaBrainz Foundation, and Berklee's Open Music Initiative. The ProMusicDB Musician to Musicprenuer 6 week challenge (STARTING JULY 12) is the class (and community) you need to be in if you are a musician and want some incentive to fill your creative well, if you have a desire for a structure and system to set your own musical goal within and want to help others do the same, and if you desire some focused personal support getting some un-fun music business and technical stuff of your musical life done. Do you remember how you felt when you conquered that first really hard solo? Do you remember how you felt when you got your first compliment on your musical talent? Can you still joyfully remember the moment you decided that music was going to be your life? Wouldn't it be great to keep that kind of passion alive in every moment of our musical lives? We try, but let's be honest. Our industry can be brutal and disjointed and scary, and this year has been no exception. But that's precisely why you need to give yourself this summer's Musician to Musicpreneur 6-Week challenge. Think of it as your 6-week: Creative Reboot. Think of it as your 6-week Productive Staycation. Think of it as your 6-week Break from Industry Overwhelm. Think of it as your 6-week Permission to Try Something New. Think of it as your 6-week Incentive to Get Focused and Get Stuff Done. Your Musician to Musicpreneur Classmates and Coaches are going to take good care of you (it's part of their program too!) and will make sure you know that accomplishing your goals are as important to them as they are to you. Because they are passionate artists, supportive music business colleagues, experienced music teachers and mentors, and eager students of musical life who embrace contributing to and learning from a shared-understanding-of-being-in-music-and-all-that-it-requires community. You will be energized by a tribe of peers who just want to see you fill your well, or help you reach your goal and "get that music project done this summer," whatever that may be for you. The Musician to Musicpreneur Challenge is the first of its kind, bringing in all the elements we wish were in other online programs! It’s a hybrid online course meets virtual music mastermind group. It’s like having a personal music career coach and accountability partners for 6 weeks. 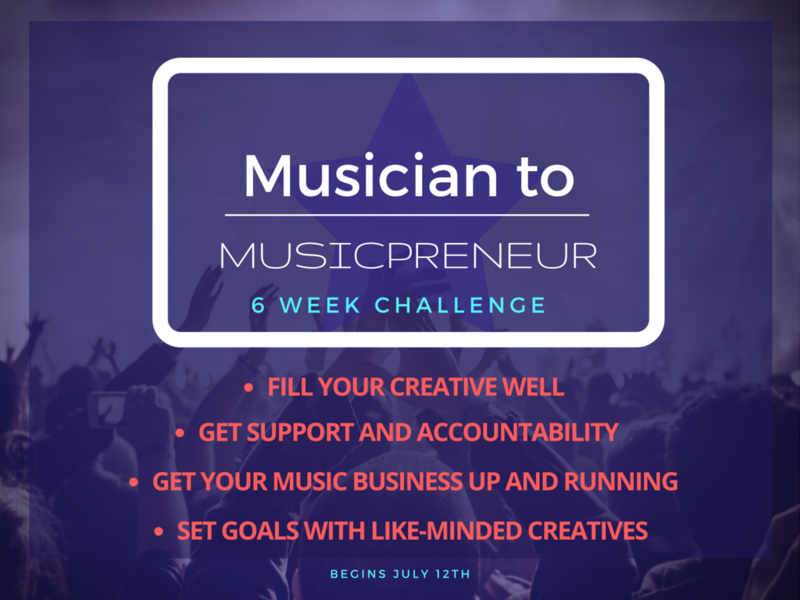 In the Musician to Musicpreneur Challenge, you’re going to pick one goal in your music career that you want to accomplish in 6 weeks, whether it’s learning a new piece of software or a new style of music on your instrument. Or getting your website and social media pages up to date. Or just learning about a different facet of the music business. And we’re going to make sure you create it, learn it, or get it done. STARTING JULY 12. 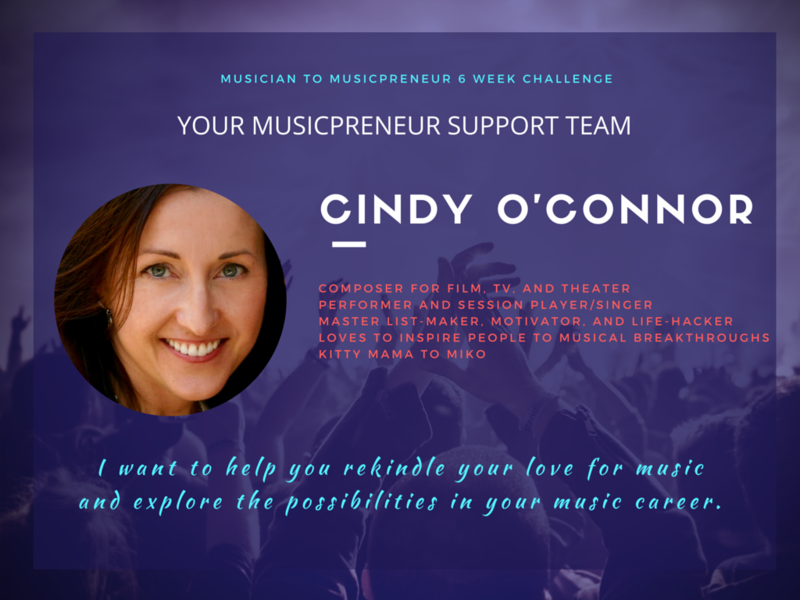 As part of the Musician to Musicpreneur community you will benefit from the support of other Musicpreneurs, too – you’ll be an accountability partner and have one of your own, and you’ll have weekly online group meetings with fellow challengers. We’re going to keep you on track, share some industry lessons we’ve learned, and teach you what we know about as many different aspects of the music business as we can – from touring to Broadway to writing for Film and TV. 1. Get personal strategies and support from start to end for one career goal from music industry veterans. 2. Get exposed to new facets of the music business on a weekly basis from Broadway to touring to being a session musician to composing for Film & TV. 3. Participate in weekly masterminds with fellow challengers to discuss progress and keep on track. 4. Focus on your personal music business challenges and learn different approaches to navigating and marketing your skills in the digital landscape. -Learning how to teach music online? -Learning more about how the music industry works and the different ways you can make money with your skills? Set YOUR goal for where you are. We'll help you ACCOMPLISH it, and cross it off your list! Maybe you’re feeling just like us - and need a structure to reboot and recharge your creativity. Maybe you want some support and accountability in getting all the business aspects aligned that you know you need to do. Maybe you just want someone to be happy that you have other musical goals other than what you’re doing and want a break from the norm. No one understands this more than we do, and we’ve paid a lot of money in the past to learn certain skills, attend expos, update our websites, and empower ourselves to take control of every facet of our music careers. Now we want to help you do this, and to give you a safe, supportive, musically informed place to do it. And... Get Some Great Resources Immediately as a Bonus For Signing Up for the Challenge! SIGN UP TODAY for your bonuses! MARK YOUR CALENDAR: The Challenge Starts JULY 12! 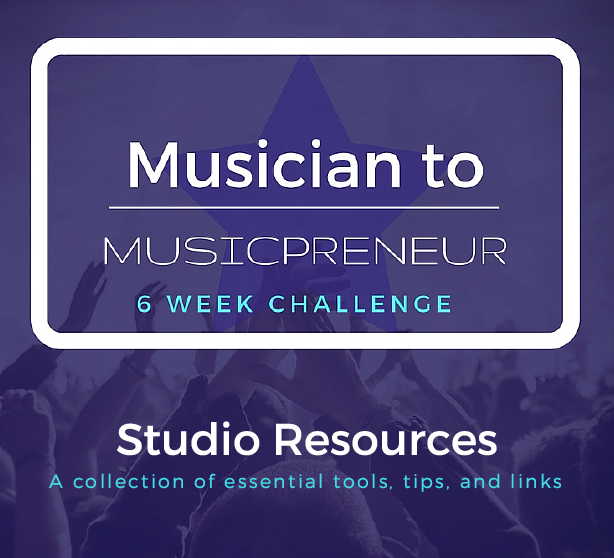 Enroll in the Musician to Musicpreneur Challenge Today and Get Immediate Access to Your Bonus Materials!